We heard a while back that the white Samsung Galaxy S II would be headed to US mobile carrier T-Mobile, and now T-Mobile has confirmed that the device will be available on their network from the 14th of December 2011. T-Mobile haven’t released any pricing about the white version, although the standard version retails for $229 when you sign up to a new 24 month contract, and we suspect it will be priced the same. 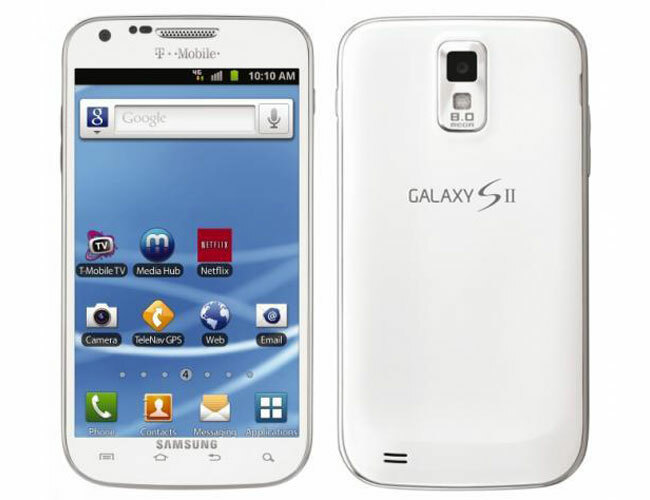 The Galaxy S II on T-Mobile features a 4.52 inch WVGA Super AMOLED Plus touchscreen display, there is also Android 2.3.5 Gingerbread and it features a dual core 1.5GHz processor. Other specifications include an 8 megapixel camera which can record HD video in 1080p and it also features a front facing 1.3 megapixel camera for video chat.